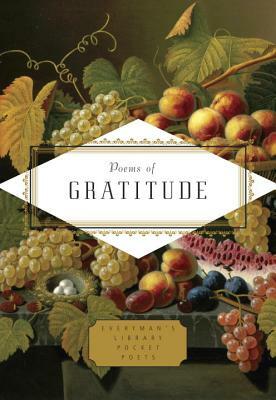 Poems of Gratitude is a unique anthology of poetry from around the world and through the ages celebrating thanksgiving in its many secular and spiritual forms. For centuries, poets in all cultures have offered eloquent thanks and praise for the people and things of this world. The voices collected here range from Sappho, Horace, and Rumi to Shakespeare and Milton, from Wordsworth, Rilke, Yeats, Rossetti, and Dickinson to Czesław Miłosz, Langston Hughes, Yehuda Amichai, Anne Sexton, W. S. Merwin, Maya Angelou, and many more. Such beloved favorites as Gerard Manley Hopkins’s “Pied Beauty,” Robert Frost’s “Nothing Gold Can Stay,” Constantine Cavafy’s “Ithaka,” and Adam Zagajewski’s “Try to Praise the Mutilated World,” mingle with classics from China and Japan, and with traditional Navajo, Aztec, Inuit, and Iroquois poems. Devotional lyrics drawn from the major religious traditions of the world find a place here alongside poetic tributes to autumn and the harvest season that draw attention to nature’s bounty and poignant beauty as winter approaches. The result is a splendidly varied literary feast that honors and affirms the joy in our lives while acknowledging the sorrows and losses that give that joy its keenness. Emily Fragos is an award-winning poet and editor of the Everyman’s Library Pocket Poets anthologies The Great Cat, The Dance, Music's Spell, Art and Artists, and Letters by Emily Dickinson. She lives in New York City.